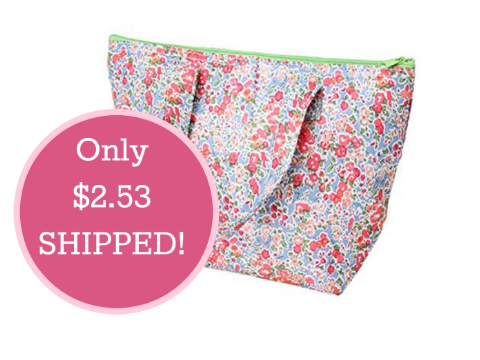 Floral Insulated Thermal Lunch Tote Bag $2.53 + FREE Shipping! You are here: Home / Great Deals / Amazon Deals / Floral Insulated Thermal Lunch Tote Bag $2.53 + FREE Shipping! Get this super cute Floral Insulated Thermal Lunch Tote Bag for only $2.53 + FREE shipping right now! This looks like it could pass for a Thirty-One tote, but way less than retail! Grab one now for you and a friend!